Dell™ 2830 S2830dn Max-Filled™ MICR toner prints checks for pennies! MICR for Dell™ S2830dn is now our #1 SELLING MICR cartridge. We print ALL our checks with a Dell™ printer. Our Dell™ S Series MICR is used by banks worldwide. 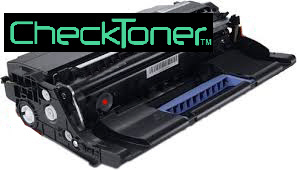 IMPORTANT: Dell™ S2830dn printers require specially formulated MICR toner. Other suppliers DO NOT have our MICR toner formula. MICR from other sources WILL NOT print the same way (other MICR often results in smearing, flaking & rejection by banks). Max-Filled™ Dell™ 2830 S2830dn cartridges are filled to max capacity. Competitors use recycled parts and rarely fill above 1/3 capacity. Some competitor MICR flakes off check paper, MICR smears and will NOT scan when bank tested because magnetic content is incorrect. Our Max-Filled™ are NEW (not recycled) cartridges. Max-Fillled™ equal up to 6 ™ regular cartridges. 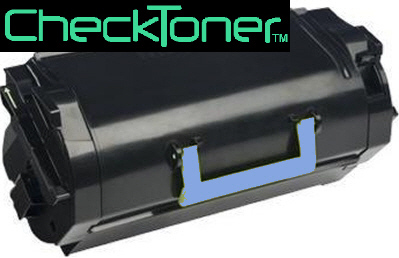 *Check yield based on 6 variables (click HERE for details).Our MICR toner shelf life: Up to 9.7 years.